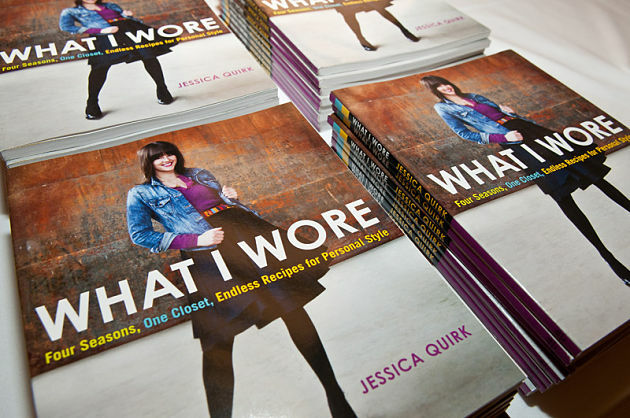 Last Wednesday I was invited to the ShopItToMe Event & Book Signing for Jessica of What I Wore, and of course I said yes! 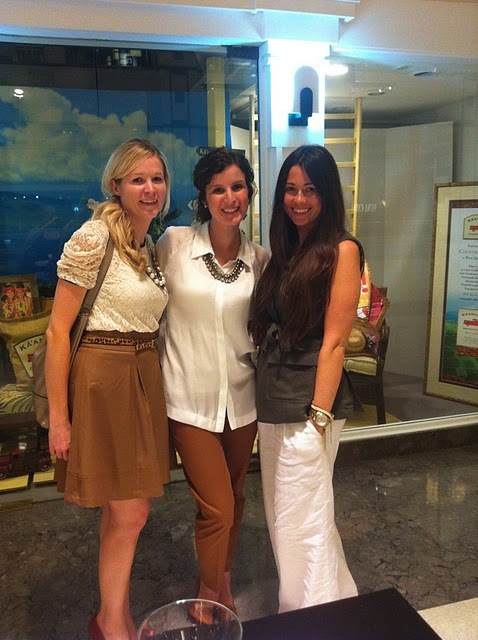 It was a fun evening to catch up with some Chicago Bloggers, meet some new Ladies (put faces to blogs!) and celebrate Jessica's accomplishment! Here are few photos from the event! I came straight from work, but I did take the event as a chance to bust out my new heeled Loafers!!!! (Me loves them and know already they will be in heavy rotation when the weather cools just a tad!) 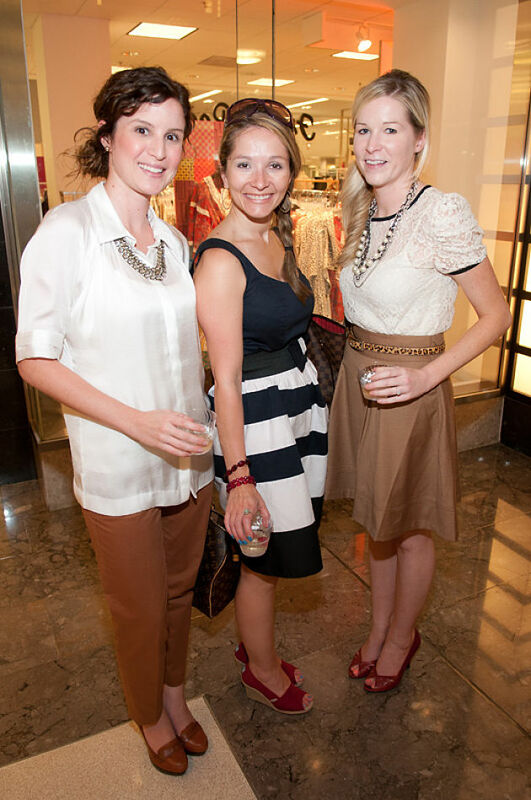 I wore: Top: Club Monaco. Necklace: F21. Pants: J.Crew. Loafers: H&M. Purse: Louis Vuitton. Watch: Michael Kors. What a fun event! Wish we had stuff like that around here! Fun, it sounds like a great event! I like those heeled loafers too. I've been wondering where to find some. Looks like I might need to hit up H&M! Looks like a lot of fun! Love all of your little otufits too! 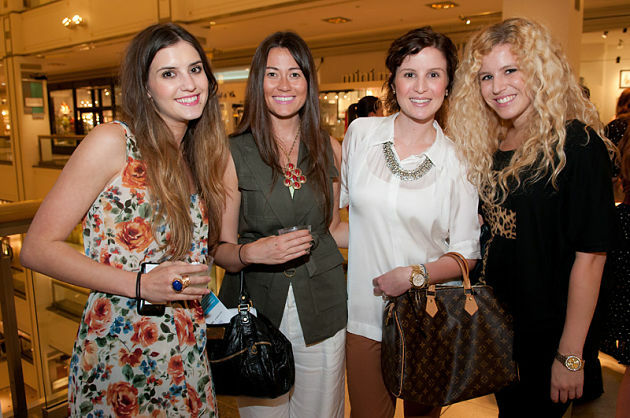 I so wish I had gone to this event - all the photos I've seen look so styled and fun! LOVE your outfit, especially the necklace and shoes! you look so chic and put together taylor!! love the pictures. jessica came out to boston too for a signing but unfortunately i wasn't able to go. it looks like you had so much fun! Love that shirt. Where is it from?! This looks like such a blast! And of course a big congratulations to Jessica! so fun!! you looked gorgeous - love the statement necklace over a button down. i really wanted to go to her book party in nyc, but had been away for it. looks like it was a fun night! So fun. Love the shoes! I bet that was so fun! LOVE your neck candy lady!